Alisa is a member of Academy of Management and International Leadership Association, lecturer in the ISM University of Management and Economics, has done internship in Danish, Norwegian and US universities. Alisa‘s area of research and professional interests is management and leadership, organizational behavior and personal effectiveness. 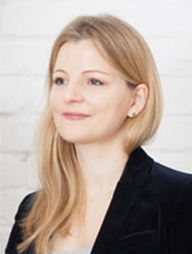 More than 15 years Alisa consults Lithuanian and foreign companies, provides training for their employees, she is a certified international coach, one of the forty ICC coaching trainers in the world who have the right to teach and certify coaches. Dr. Alisa Miniotaite, Founder of ALISA MANAGEMENT LABORATORY, Head of Master Leadership program at ISM University of Management and Economics. Habits separate successful and unsuccessful people, same is with organizations – habits differ ineffective companies from those having a winning culture. Let’s discover how to make an audit of organization habits, how to change the old and create new ones.